At Doctor4U we are committed to the utmost standards of data protection and privacy. The only time we share your information is when it is absolutely necessary to fulfil the request you have made on our website, and to ensure you are provided the best service and care. Med Connections act as the “data controller” for the purposes of any transaction on our website, we trade as Doctor4U in the UK. Med Connections Ltd Staff To forward relevant requests to prescribing doctors, dispensing pharmacy, and to deal with all other requests for information. Full data access. The Dispensing Pharmacy (Innox Trading Ltd.) Fulfilling patient orders. 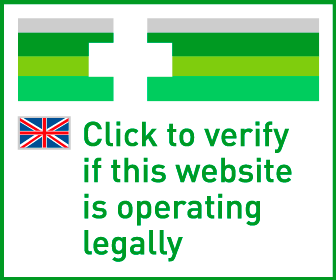 The pharmacy is UK-based and GPhC registered. Name, address, gender, date of birth (DOB), telephone, email address, prescription details. The Prescribing Doctors Carrying out consultations and if appropriate, prescribing medicines and sending prescriptions to the pharmacy. The doctor may contact you for further information when required. Name, address, gender, date of birth (DOB), telephone, email address, prescription and consultation details. - Royal Mail and DPD Local To allow delivery of your parcel, and to update you on the progress through the delivery network via alerts. Title/gender, name, address, telephone. Lexis Nexis credit reference agency where required for the purpose of identity verification, with the patient's consent. Name, address, gender, and DOB. Doctor's surgeries As requested by patients or required by Med Connections prescribing protocols and with patient's consent. Title/gender, name, address, telephone, DOB, prescription details. SagePay Service used to process customer payments. Title/gender, name, email address, payment card details including payment card address. MailChimp The service that sends the Med Connections mass 'e-newsletters', if patients consent to receive, plus drug safety and important service update emails. Email address, gender, year of birth, country. Google The analytical data from Google is used to improve customer journey and gain statistic on user issues. Google analytics may include type and version of device, operating system, we browser, location, referring web page, gender and age range of visitor, search term used, IP address and network, record of purchase. TrustPilot One of the UK’s leading review collection service Email address, order number, review text submitted. Xsellco Customer service tool used to answer queries/tickets efficiently. Name, address, gender, date of birth (DOB), telephone, email address, prescription details, query information. GPHC When requested for audit/inspection purposes. Full data access. Police Personal data requests in line with https://www.pharmacyregulation.org/sites/default/files/in_practice-_guidance_on_confidentiality_may_2017.pdf As requested. If a customer sends an e-mail to Med Connections requesting or containing personal data, they consent to having that data transmitted via a reply to the same e-mail address, unless specifically advised to transmit the information by another method, in line with agreeing to this data sharing policy. We advise customers that e-mail is not a secure method of transfer for any sensitive or personal information. For any queries relating to your personal data on our site please e-mail [email protected].